Sometimes an excavator needs more manoeuvrability and versatility than tracks can offer. That’s where JCB’s wheeled excavator range comes in. 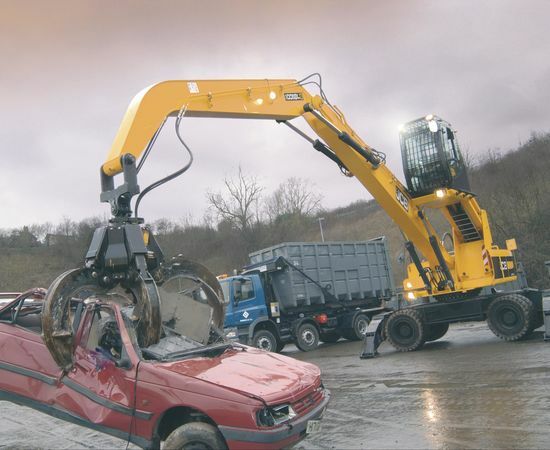 A wheeled excavator from JCB is ideal for everything from road preparation and repairs to stock yard rehandling and the rigors of plant hire. 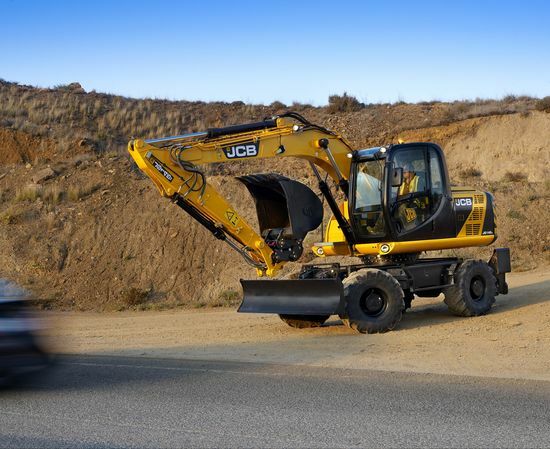 A JCB excavator is built for reliability, productivity, durability and, of course, independent road travel. Capable of road speeds of up to 30kph, our wheeled excavator range can give you productivity to rival some tracked excavators, but with the added benefit of reduced surface damage. 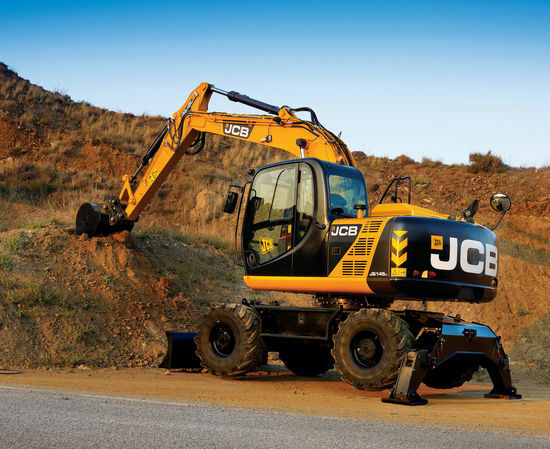 There are five machines in the JCB wheeled range: the JS145W and 160W features JCB’s latest 4.4 litre Dieselmax engine, while the JS175W and JS200W feature Isuzu units. Both engines are renowned throughout the world for power, reliability, durability, fuel efficiency, low noise and low emissions. 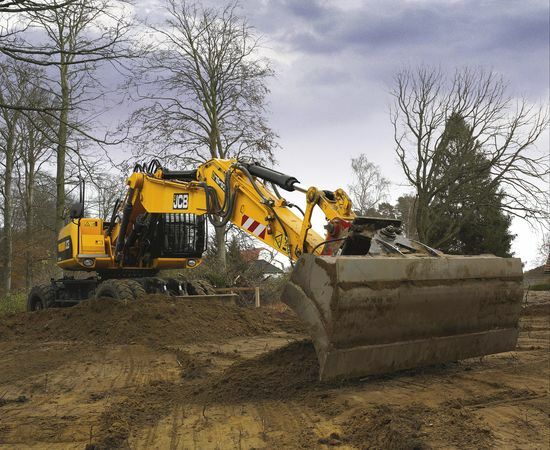 Naturally, our wheeled excavator range is supremely versatile, with a myriad of optional modifications available to tailor machines to specific applications. 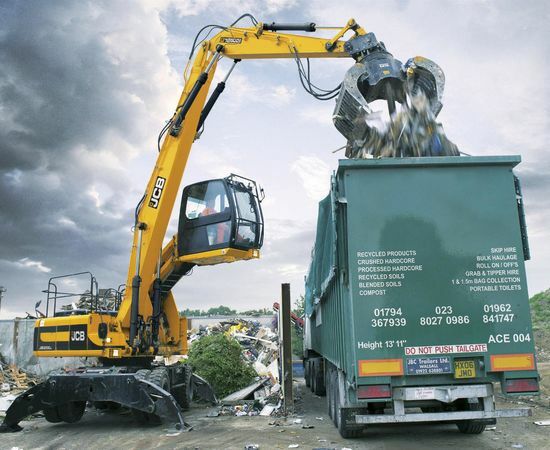 Take our JS200W Wastemaster, with optional hydraulic-raise cab and a choice of material-handling or scrap-handling booms and arms.